At work you had a job description with Goals and Targets to evaluate your performance. Rewards and incentives motivated you reach your goals. You were offered training and development to bridge skill gaps, and fulfil your potential. You worked as part of a team, and you got feedback from peers, and the person you reported to. Work/Career is a way to fulfil your needs. What replaces that in retirement? 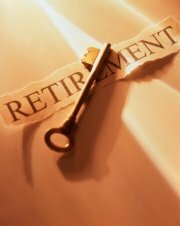 What are the retirement affects on that aspect of your life? Without preparation Retirement Affects can create uncertainty, which could lead to shock and denial, anger, frustration and sometimes even depression. This website focuses on the positive aspects of retirement. However, this may not be everybody’s experience. For some, retirement can be confusing and disappointing, as is illustrated in the following retirement quotations. Judge Paul Carney, retiring after 25 years on the High Court bench. "As people have progressively more time on their hands, TV viewing hours increase." Research by the University of Maryland found that watching TV might make you feel good in the short term but is more likely to lead to overall unhappiness. Not a good use of your retirement free time? ‘I do nothing Monday to Friday, and I rest on Saturday/Sunday!’ What do you think of this sardonic comment on retirement? ‘Our research shows that up to 70% of employees report experiencing stress in their working lives, with more than a fifth of workers regularly thinking of quitting their job as a result.’ And yet retirement brings its own stressors. "I must confess to a sense of … puzzlement about why I'm still alive because the job I've been asked to do is over, for better or for worse." Archbishop Hickey’s on his initial difficulty with his transition to retirement. Would you agree with Jeremy Clarkson? Can’t teach and old dog new tricks? The average woman feels she has reached old age at 60, while for men it’s 58, according to the UK Department for Work and Pensions. At what age did you start to feel old? Autumn leaves...in youth we are always looking forward, impatient for what’s coming next. With age we realise there are more leaves on the ground than on the tree. ‘Nothing makes me sadder than old age, I think. It’s my emotional kryptonite.’ I wonder what the comedian Shane Langan meant by this? At times of transition - and uncertainty - we reach for Retirement Quotations to get comfort - and direction - in the articulate words of those who have been there before us.